Winner of Romance Writers of America’s RITA award. Frances Pierce is a simple, plain country girl who enters Lady Anne Boleyn’s circle after shielding her from an angry mob. 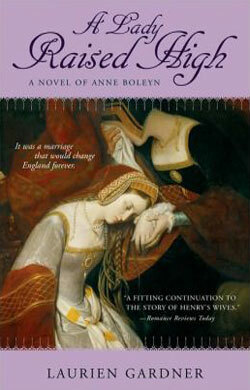 Anne is beloved by King Henry VIII, and queen in all but name. And Henry is determined to cast aside his wife Catherine, marry Anne, and make her his lawful queen-no matter the consequences. Frances delights Anne with her poetry and her forthright ways, and soon becomes a favorite. Dazzled by the glamour of the court, she pays scant attention to the intrigues that swirl around her mistress. But when the king’s favor shifts, Frances will learn just how quickly those who rise far and fast can meet their downfall.